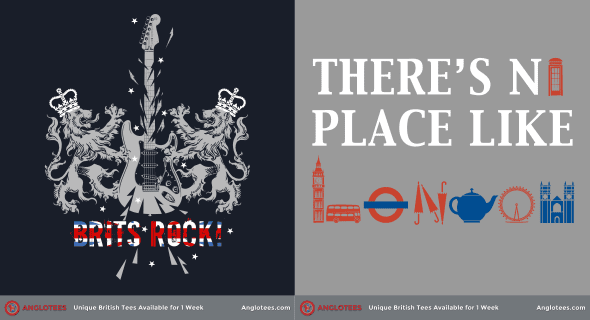 This week over at Anglotees.com we have two beautiful new designs for you. First up is Brits Rock – a loving tribute to the British people and their iconic music. Next up is There’s No Place Like London, a new tribute to our favorite city – our second home.